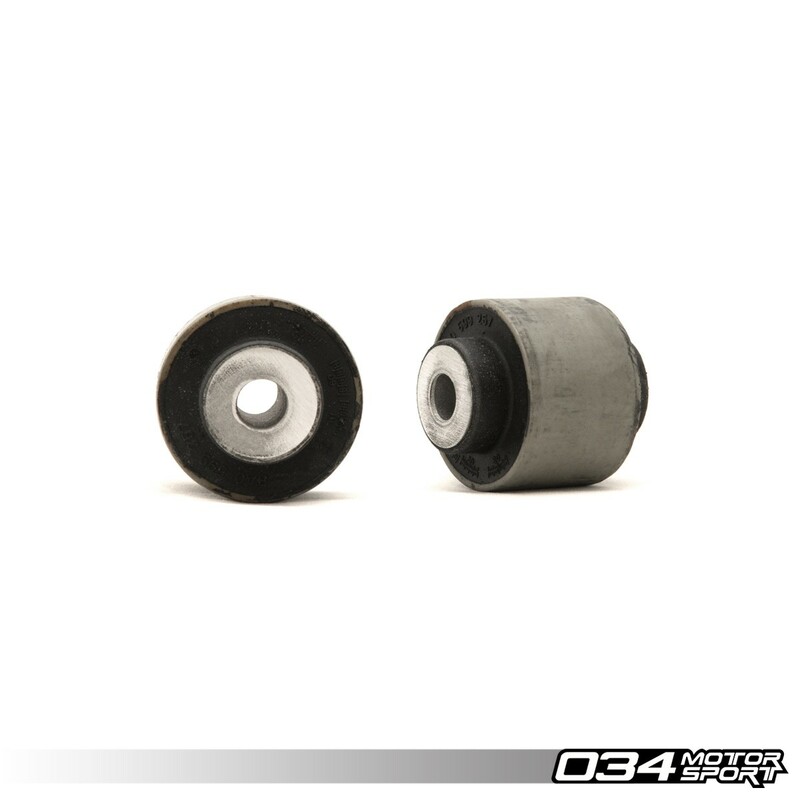 Density Line Rear Differential Bushings are designed to eliminate excessive rear differential movement and provide the driver with crisp feedback when shifting and accelerating. This is a must-have upgrade for higher mileage vehicles as well as anyone looking to increase drivetrain performance. We are VERY excited to be announcing the release of our 034Motorsport Street Density and Track Density motor mounts for a wide range of Audis! We have tested these mounts on our own B5 1.8t quattro for over 10k road miles and 6 track days, upon recent removal they still looked like new.. These mounts replace the upper differnatial carrier mounts, the 2 small bushings that press into the carrier that holds up the rear diff. Mounts will fit all B4 and B5 chassis cars including A4/S4, A6, 90 Quattro, RS2 and many other applications (does not fit Passat), feel free to contact us for clarification. Choose stiffness above, price PER PAIR for one car.